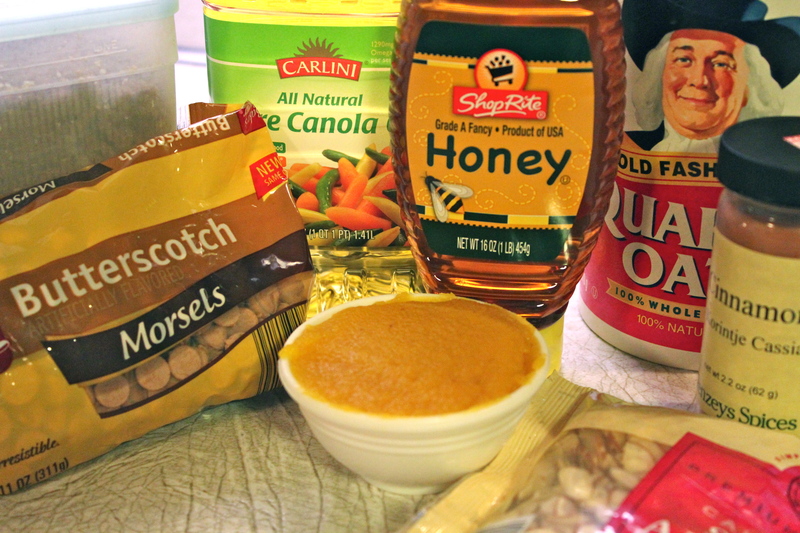 Are you tired of recipes with pumpkin? I hope not, because this is another one, and as long as no one raises a red flag and shouts STOP, they’ll probably keep coming. You know me and pumpkin by now, so as long as a recipe has the “P” word in it, I’m on it. Seriously, they are awfully good tasting, but also hold their shape without crumbling and cut nicely when cool. 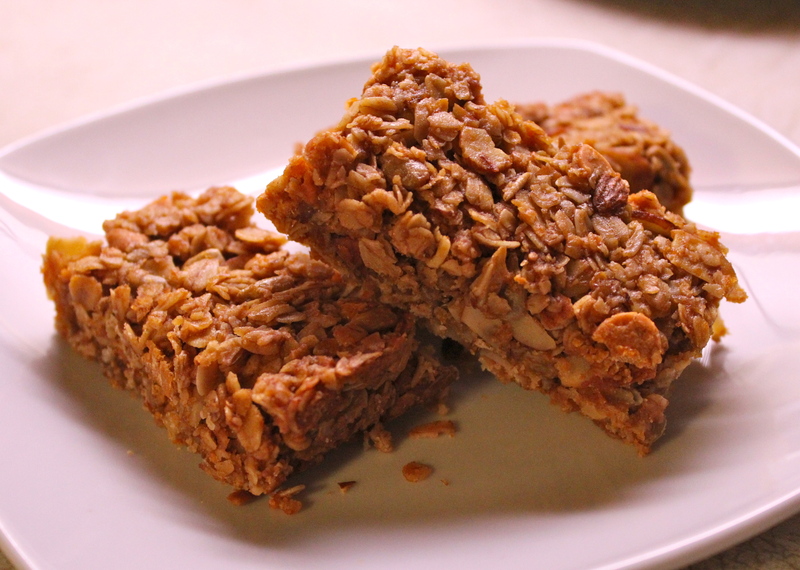 They make a nutritional after school snack, or lunch box treat. 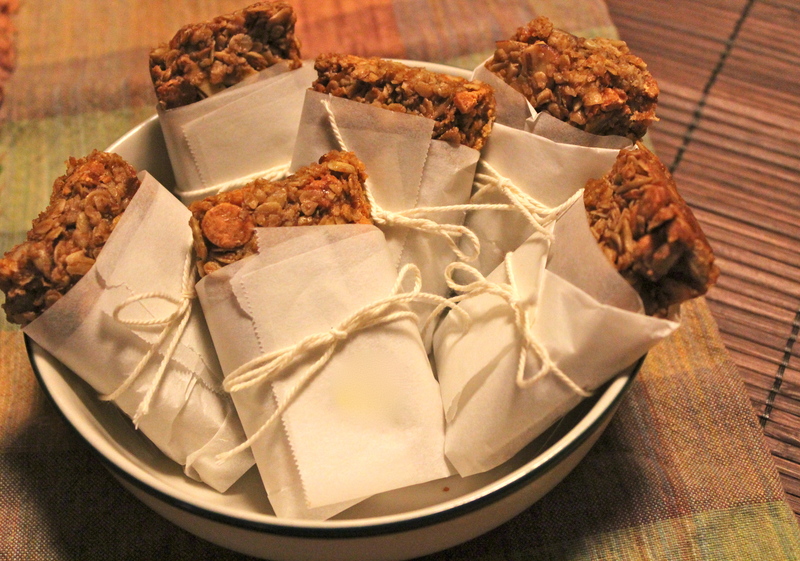 You can wrap them individually in wax paper or parchment paper and freeze them so they are available to grab on short notice. Actually mine never made it to the freezer, because as you are chewing the last bite of the first one, your hand will be reaching for another one so in my house they didn’t last long. Give them a try and I think you’ll agree with me —they are the best! YIELD: makes 20 – 24 bars depending on how you cut them. 1. Preheat the oven to 325 degrees and prepare a 13″ x 9″ pan with a sheet of parchment paper lining the bottom. 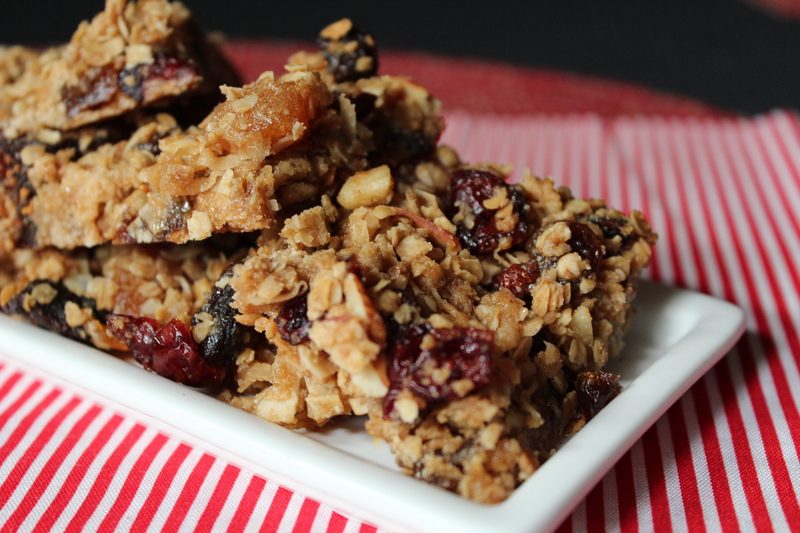 4 cups oats, preferably old fashioned whole oats, but quick oats work, too. Get all the ingredients ready in advance. 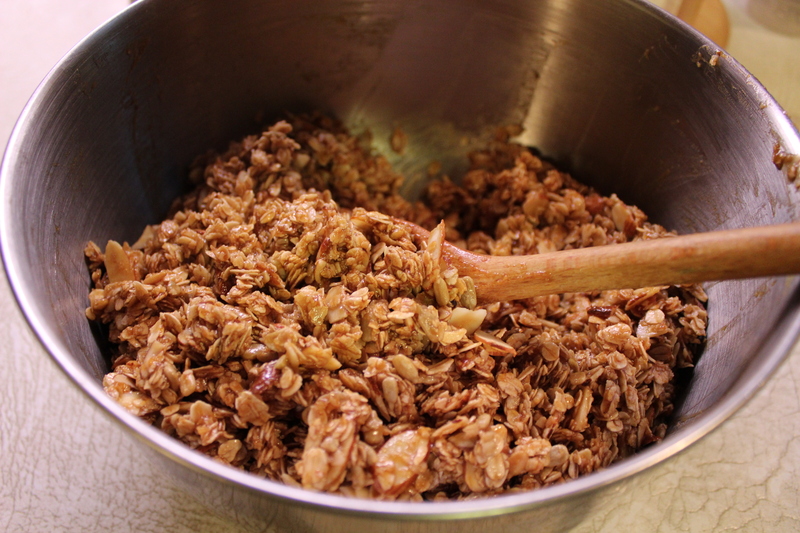 3 In a large mixing bowl, combine oats, and vegetable oil, mixing until the oats are well coated. 4. 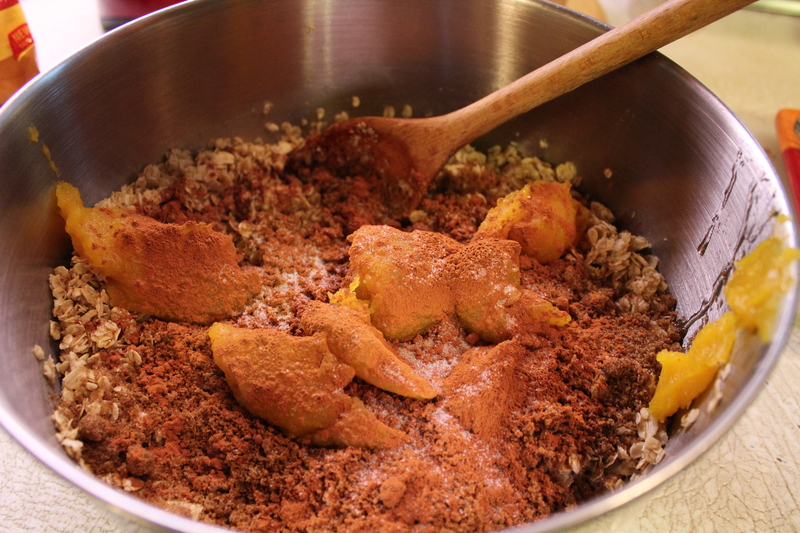 Add the honey and the brown sugar, pumpkin and cinnamon and salt and mix to combine. 5. 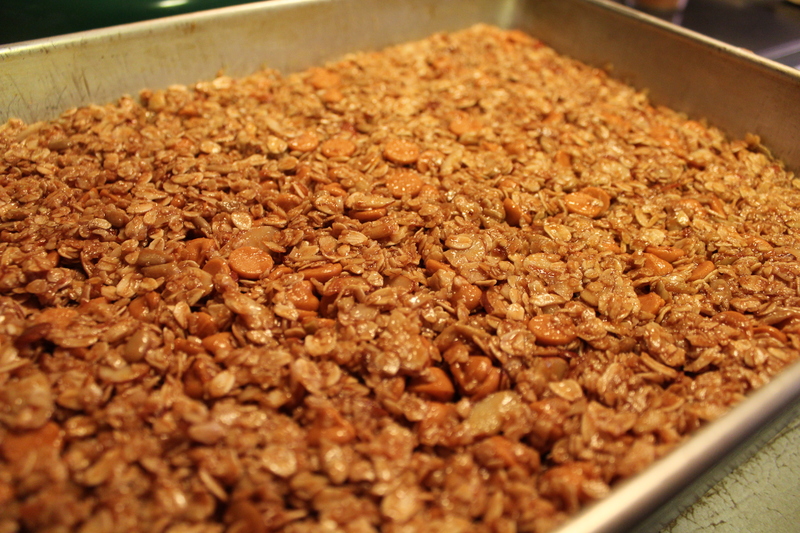 Add the almonds and pepitas and mix in. 6. 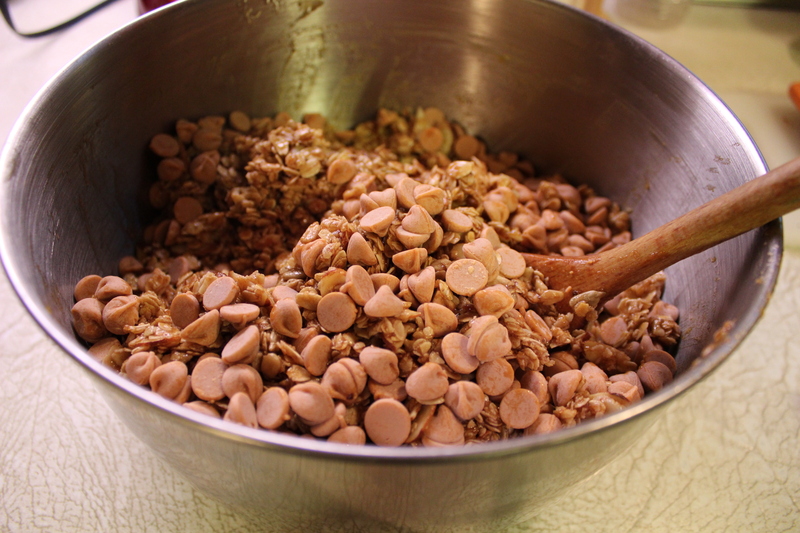 Stir in the butterscotch chips. 7. 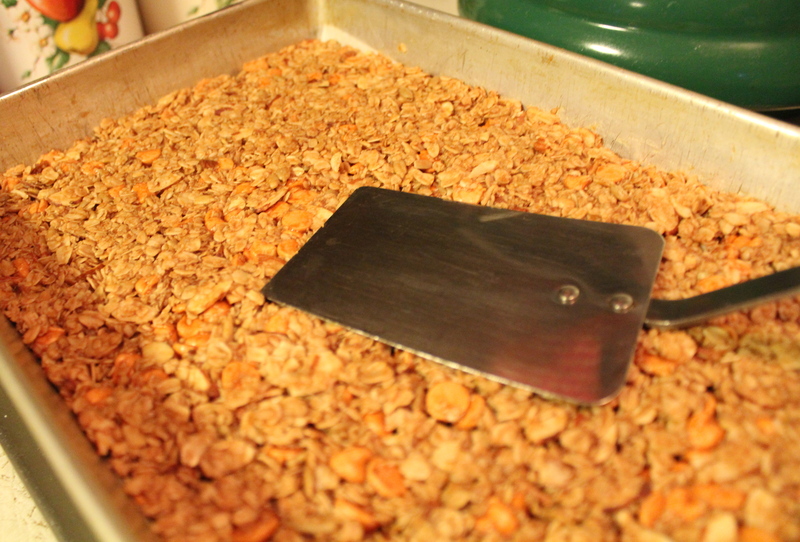 Transfer the granola to the prepared pan and spread it out evenly. 8. 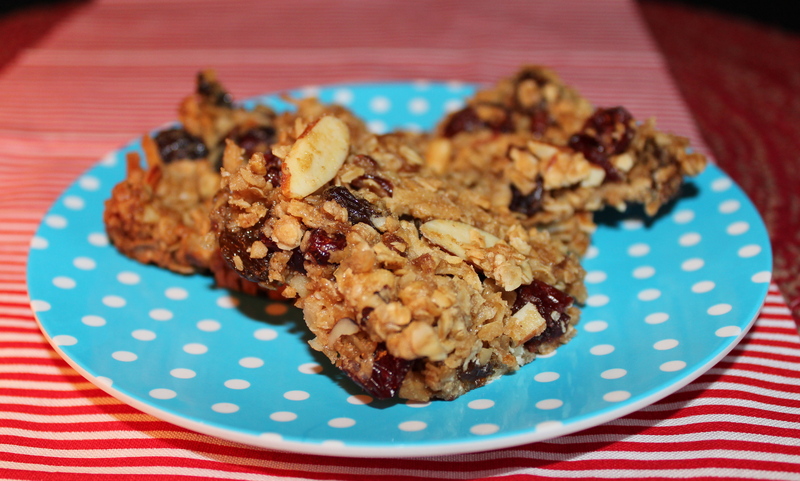 Bake the bars at 325 degrees for 30 minutes and then press down hard with a spatula. 9. Bake for another 20 minutes. 10. Let cool completely before cutting into bars. Wrap individually and store in an air-tight container, or freeze. 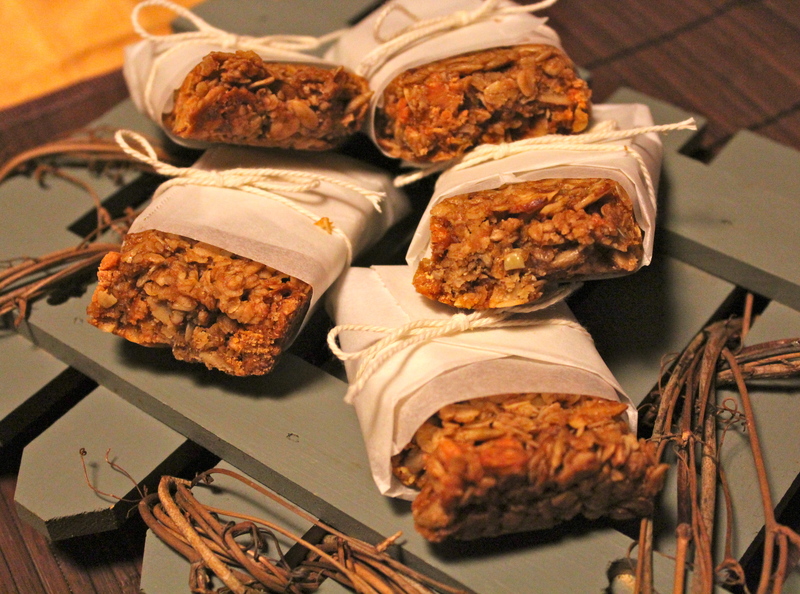 PUMPKIN BUTTERSCOTCH GRANOLA BARS, a delicious snack.